Savanna announced the completion of a $20 million capital improvement plan at the Falchi Building, a five-story 736,407 s/f office and retail building in the Factory District of Long Island City, Queens. At the same time, Savanna is offering a new full-floor availability of 95,000 contiguous square feet on the building’s highest floor, including a 3,000 s/f penthouse and a potential roof deck addition. “We planned the completion of our capital improvements to coincide with the availability of the full fifth floor of Falchi,” said Andrew Kurd, Managing Director of Savanna. Savanna’s investment in the lobby, entrance, and ground floor retail corridor creates a more modern, feel for existing and prospective tenants. The ground floor retail space is a food-focused corridor similar to Chelsea Market that provides a shared amenity for the building and the surrounding neighborhood. The focus on common areas extends to a new amenity lounge space, as well as renovation of common corridors and restrooms. To update building systems, Savanna upgraded Falchi’s generator, smoke purge, staircases, egress points, fire sprinkler, and alarms. “The strategy here is to maintain Falchi’s many attractive in-place physical attributes, like loft-style floor plates, large windows and generous ceiling heights – all of which the current fifth floor availability exemplifies – while modernizing key elements of the tenant experience and building functionality,” Kurd added. Savanna recently completed deals with The Liro Group, a provider of integrated construction, design, and technology solutions; The McCloud Group, LLC, a construction management firm; and MTP Parking, a premier parking provider. Mitch Arkin, Ethan Silverstein, Haley Fisher, Kelli Berke, and Omar Sozkesen of Cushman & Wakefield serve as exclusive leasing agents for the property’s office space. Mike Azarian, also of Cushman & Wakefield, heads up retail leasing. 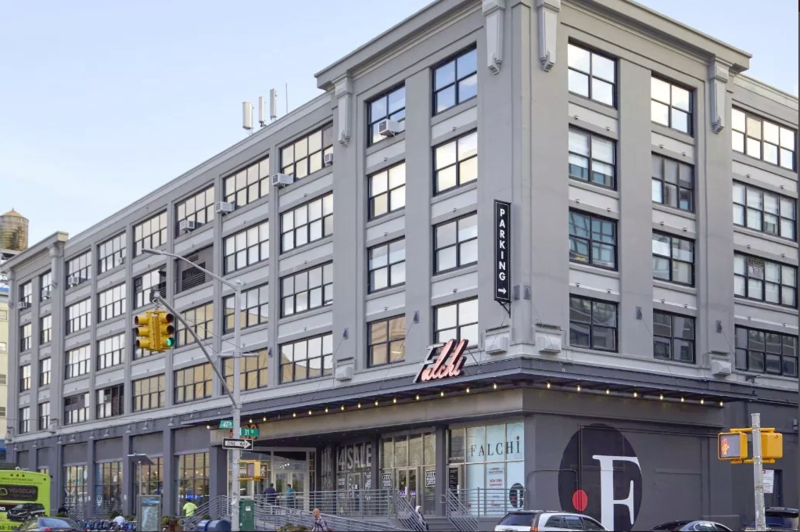 “Based on our extensive experience in the Long Island City market, the introduction of multiple food choices plus the upgrading of the lobby and infrastructure of Falchi sets this apart from all other buildings in its class, and we expect our leasing velocity to reflect that,” said Arkin.